How to Tip for the close, Disable/ Turn off Handoff on iPhone X, iPhone 8 (Plus), iPhone 7, 7 Plus iPhone 6/6S, 6/6S Plus, iPhone SE/5S earlier and MacBook Air, Pro, which is running on OS X Yosemite, EI Capitan, MacOS Sierra or MacOS High Sierra. You can use handoff with Apple apps Such as Safari, Mail, Calendar, Maps, Reminders, Contacts, Number, Pages and Keynotes and other Third party apps. 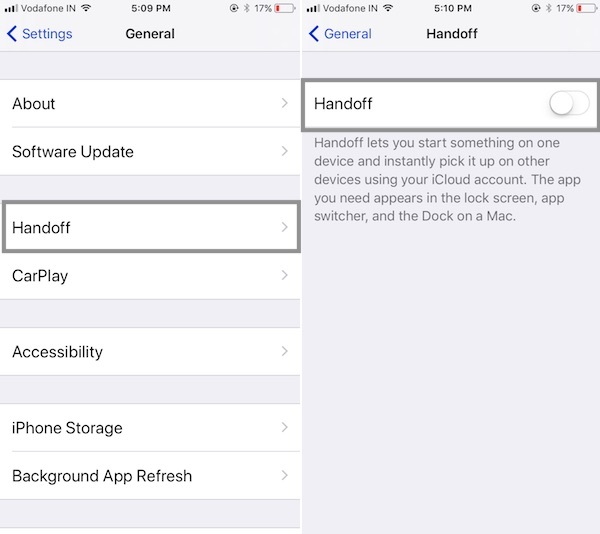 Once, successfully setup of handoff on your iPhone, iPad or Mac At least, you should know that how to turn off after use of handoff. Handoff is a continuity feature for iOS 8/ 9/ 10/ 11 and Mac OS X devices. Through that, you can continue your work from iPhone to Mac and vice-versa. If you want to connect your Apple device, then Handoff is the ideal attribute. 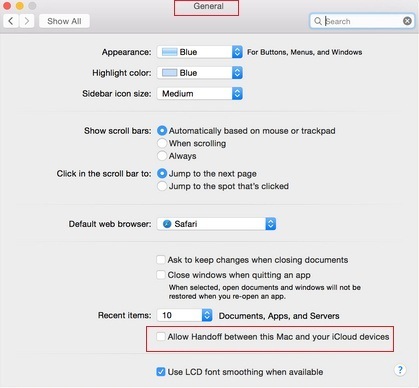 At below you can get easy steps for, How to Turn off Handoff on iPhone 6, 6 Plus, 7, 7 Plus in iOS 8/ 9 /10 and MacOSX. Go to the Settings app on iPhone, iPad > Tap on General > Handoff. Disable Handoff toggle. That’s it. Above way follow accurately so that defiantly Handoff will happen turnoff on your iOS 8 devices. 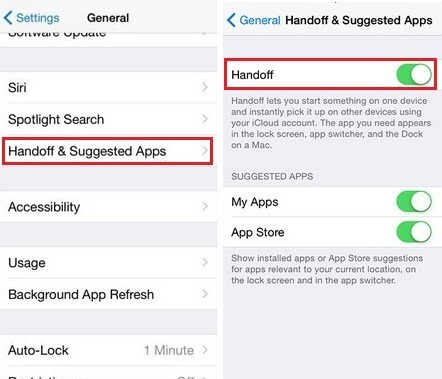 If you want to again, Turn on Handoff then you can do it, with the help of this way Settings >> General >> Handoff & Suggested Apps and Turn on Handoff. How much helpful this tips on Turn off Handoff on iPhone to you. Leave your speech in the comment box and share your experience, you can get daily new update via – E-mail, just subscribe our Email alerts.